We provided MEP engineering for this renovation project converting a 38-unit residential hotel to 16 affordable housing units for adults with developmental disabilities. This four story historic building in the Haight-Ashbury district now includes a more efficient domestic hot water system, new exhaust fans for each unit restroom, and new electric radiators. The plumbing system was overhauled and upgraded with low-flow fixtures. 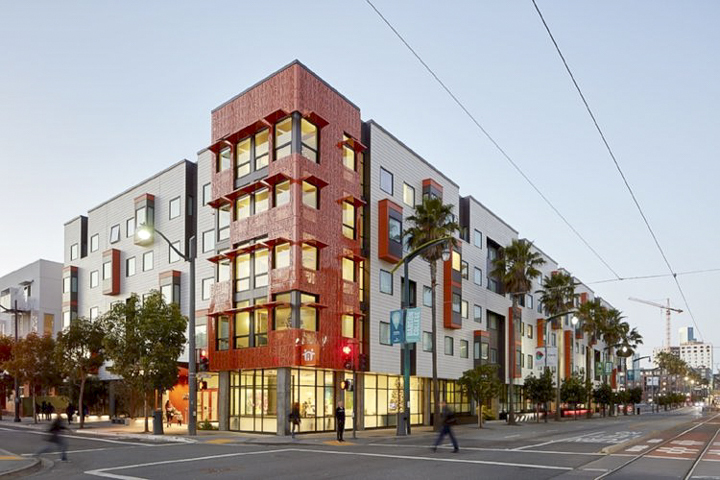 We provided MEP engineering for this redevelopment of the former UC Berkeley extension campus on Laguna Street in San Francisco. 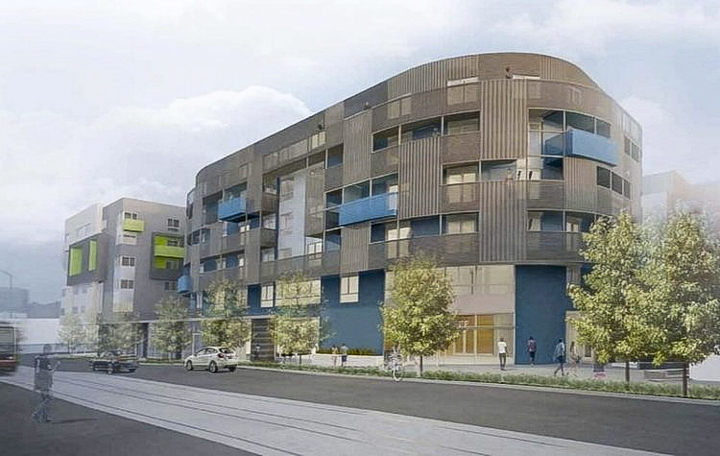 The project scope included 305 rental units comprised of 1-, 2- and 3-bedroom units situated in five buildings. Fifty of these rental units were set aside for affordable housing. Three of the buildings are Type III over Type I construction buildings and two Type V over Type I construction. We provided early stage energy modeling to optimize performance of the building envelope. We provided (, as well as) comfort analysis demonstrating the performance of the mechanical system(s). Sustainable features of the project (building now) include high efficiency condensing boilers, baseboard radiators, low-flow plumbing fixtures, and a solar hot water system. We provided MEP, Fire Protection and Energy modeling services. We provided Mechanical Engineering Services for this rental development. The design includes high efficiency VRF cooling as well as efficient ventilation systems throughout the six-story complex of 259 units and 1,840 SF of retail space.